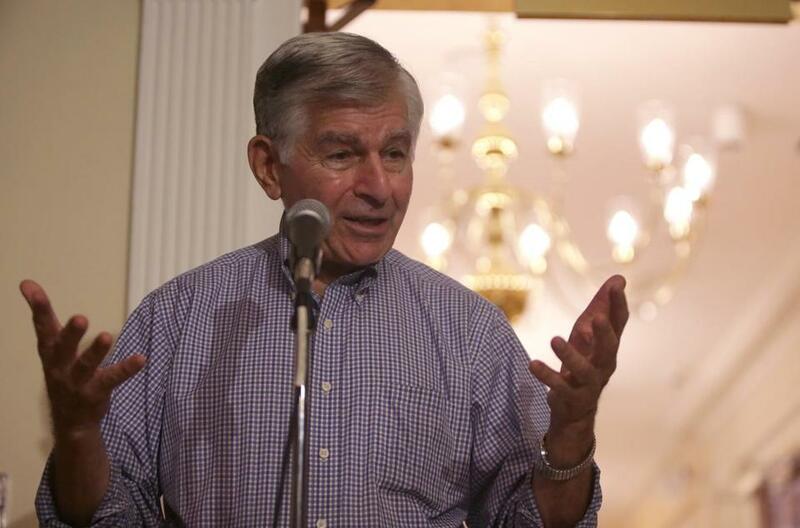 Former Massachusetts governor Michael Dukakis. Former governors Bill Weld and Mike Dukakis were in North Adams Saturday to present a plan to develop the Berkshire County burg as a “cultural destination.” The plan, unveiled at a press conference at the Western Gateway Heritage State Park, has three parts: the redevelopment of the Heritage Park complex to include a museum of “extreme model railroading and contemporary architecture,” a new museum of contemporary art at the Harriman-and-West Airport, and the renovation of the Mohawk Theater on Main Street. The proposal, which envisions a North Adams-Williamstown “Cultural Corridor,” was developed by Thomas Krens, creator of MASS MoCA, with the assistance of North Adams officials, as well as Dukakis and Weld, and Richard Gluckman, principal in Gluckman Tang Architects, which is based in New York.